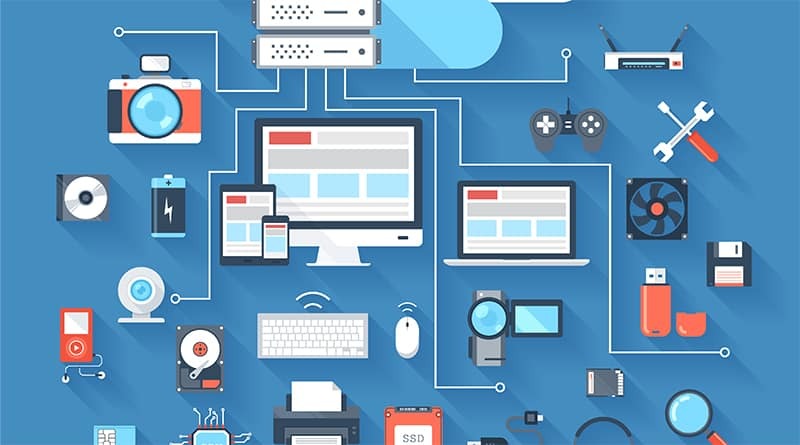 The gapTCO tool is an intuitive, graphical user experience designed to allow simple and easy analysis of the Total Cost of Ownership of printer and MFP devices. 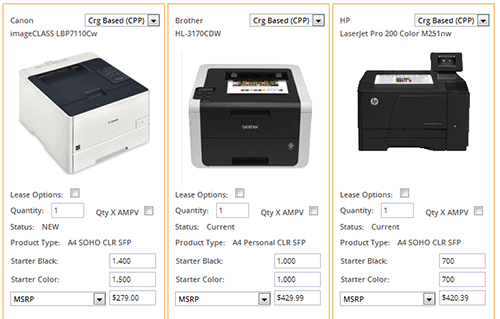 This month’s installment compares the Brother MFC-L2750DW, the Canon imageCLASS MF267dw, the HP LaserJet Pro MFP M227fdn, and the Lexmark MB2236adw. 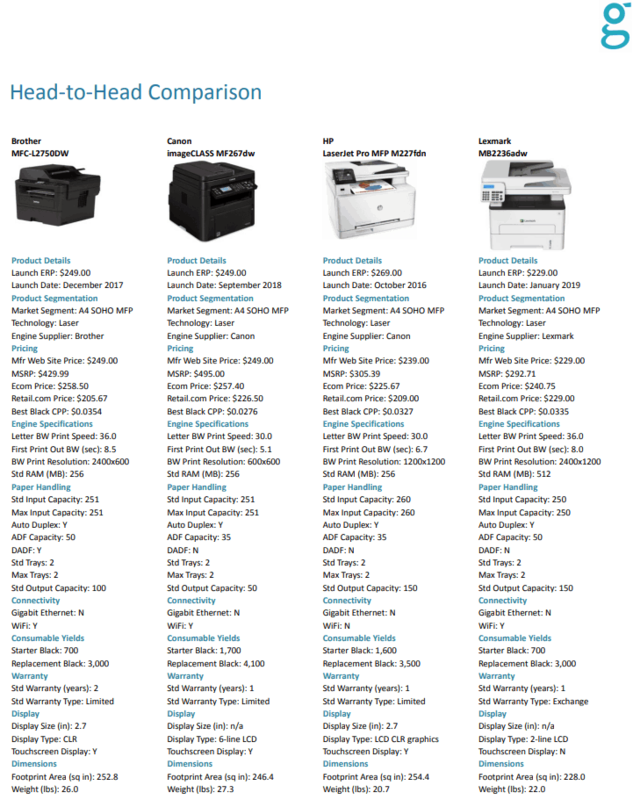 The HP LaserJet Pro MFP M227fdn is the winning product with the lowest TCO of $2,133.81, followed by the Brother MFC-L2750DW with a TCO of $2,142.72, the Lexmark MB2236adw with a TCO of $2,156.76, and the Canon imageCLASS MF267dw with a TCO of $2,211.98. 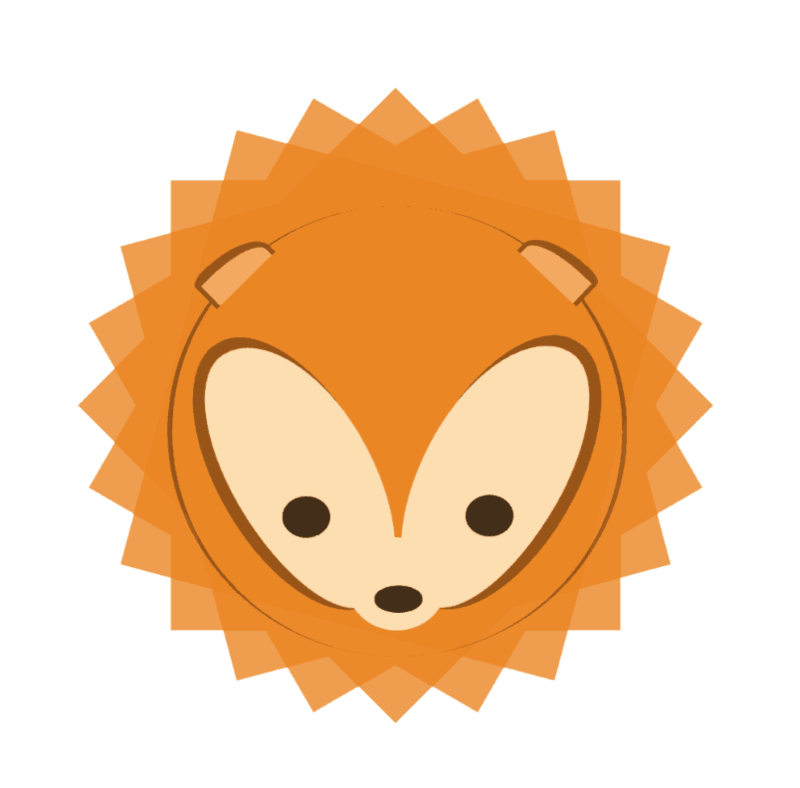 All devices compared offer standard print, copy, scan, and fax functionality. 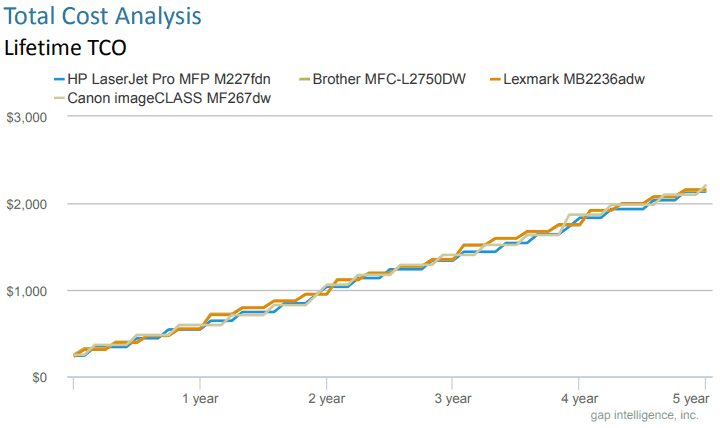 The Brother MFC-L2750DW and the Lexmark MB2236adw offer the fastest monochrome print speed at 36ppm, followed by the Canon imageCLASS MF267dw and the HP LaserJet Pro MFP M227fdn with a print speed at 30ppm. The HP LaserJet Pro MFP M227fdn has the largest standard paper tray capacity at 260 sheets, followed by the Brother MFC-L2750DW and the Canon imageCLASS MF267dw with 251 sheets, then the Lexmark MB2236adw with 250 sheets. 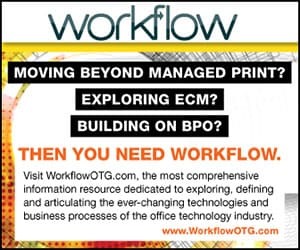 The Canon imageCLASS MF267dw offers the fastest first print out at 5.1 seconds, followed by the HP LaserJet Pro MFP M227fdn at 6.7 seconds, the Lexmark MB2236adw at 8.0 seconds, and the Brother MFC-L2750DW at 8.5 seconds. The Brother MFC-L2750DW includes the longest standard warranty at two years, while all other devices in the comparison offer one-year warranties. All devices with the exception of the HP LaserJet Pro MFP M227fdn offer standard wireless networking. The Brother MFC-L2750DW, the Canon imageCLASS MF267dw, and the HP LaserJet Pro MFP M227fdn offer touchscreen displays, while the Lexmark MB2236adw includes a 2-line LCD without touch capabilities. For more information, visit gap intelligence. 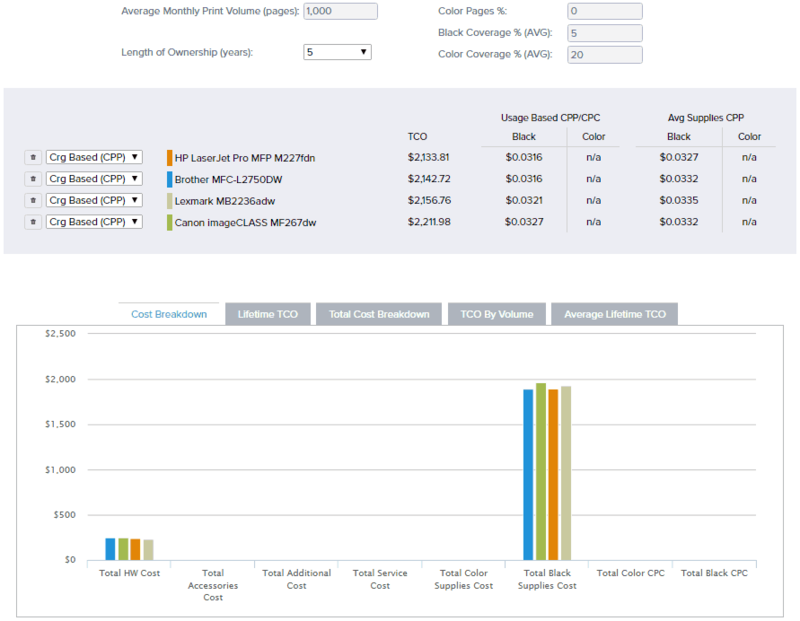 The gapTCO is an intuitive, graphical user experience designed to allow simple and easy analysis of the Total Cost of Ownership of printer and MFP devices. Is A4 Finally the Homecoming King?